The Black Panther research papers explore the minority group, and their objectives. However, the Black Panther revolutionary nationalism was based on a separatist ideology, which contended that African-Americans could not achieve self-determination in the existing political and social structure of the United States. As a result, the Black Panthers embraced revolutionary socialism, seeking to alter existing conditions by force of arms. Their emphasis on achieving a position of leadership among the various revolutionary movements throughout the world, however, caused the movement to lose a degree of support among African-Americans in the United States. Huey Newton and Bobby Seale formed the Black Panther Party For Self-Defense in 1966, selecting the name due to the characteristic of the panther not to engage in unprovoked attacked, but to defend itself vigorously when encroached upon. The Black Panthers advocated that all black people should bear arms to protect themselves from the state, and in particular the police, which were deemed the mechanism by which the state engaged in the oppression of African-Americans. 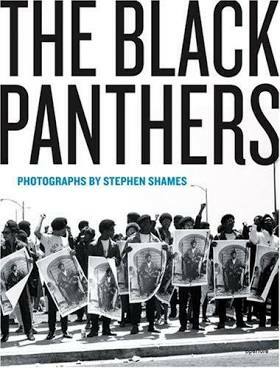 At the same time, the Black Panthers considered themselves to be part of a world wide anti-capitalist movement intended to free oppressed people. As a result, the movement closely aligned itself with Marxism and the teachings of Mao Tse-Tung, which it perceived as the doctrine that unified oppressed people throughout the world and which encouraged the use of force in order to achieve the socialist objectives. As a result, it began to emphasize its relationships with other international revolutionary movements, looking for support from governments and revolutionary groups outside of the United States. White Nationalism - White Nationalism research papers discuss the history and all forms of white nationalism. Malcolm X - Malcolm X Research Papers examine the life of this man, and his distrust and rage toward white Americans. Humanitarianism Research Papers on the Ethical System of Human Kindness. James Baldwin Research Papers on African American Novelist. African American Women Research Papers - Women of the Civil Rights Movement. African American Experience Research Paper on Toni Morrison. Anne Moody and Civil Rights Movement research papers are custom written on whatever aspect of Coming of Age in Mississippi you need. Rosa Parks research papers discuss this key figure in the civil rights movement. Civil Rights Act of 1964 Research Papers - Another issue that would lead to a collective civil rights movement term paper topic was raising its head. Slavery, Civil rights, and the Constitution - custom Slavery and civil rights research papers. Humanitarianism Research Papers - on the Ethical System of Human Kindness. Praying for Sheetrock Research Papers on a book by Melissa Fay. Overt segregation and discrimination ended with the Civil Rights Act. Paper Masters writes custom research papers on The Black Panther and explore the minority group, and their objectives.